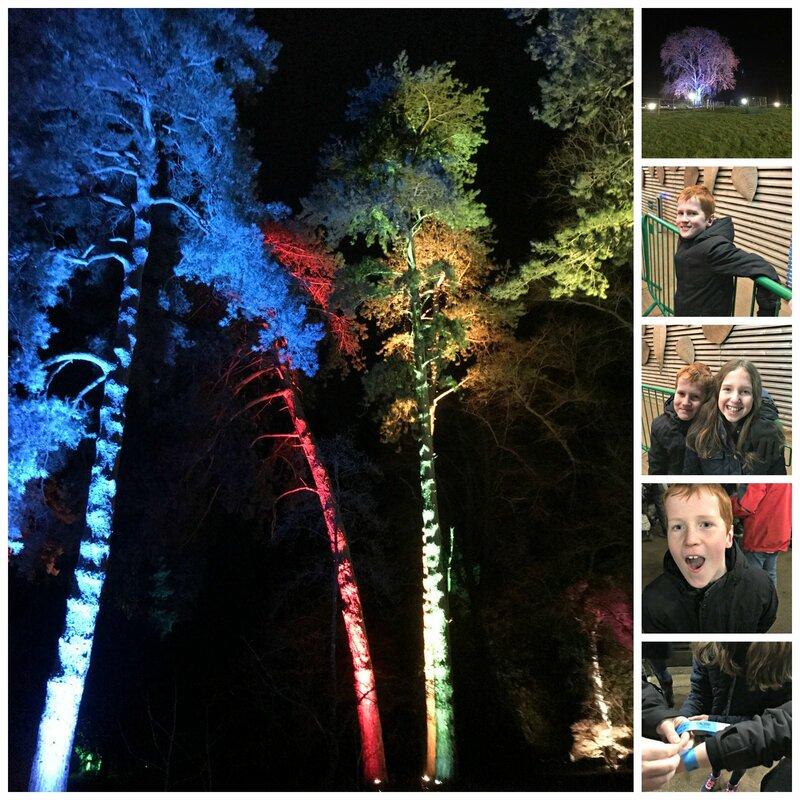 We love Westonbirt Arboretum Enchanted Christmas Trail. Maintained by The Forestry Commission, The National Arboretum is situated roughly 3 miles south west of Tetbury, Gloucestershire, it’s probably the best known arboretum in the UK. It’s also an easy hour or so’s drive from Cardiff for us. Westonbirt is home to 15,000 labelled trees (around 2,500 different types of tree) and 145 champion trees (the largest or tallest in Britain and Ireland according to the Tree Register of the British Isles) and also Westonbirt’s rare or endangered trees. 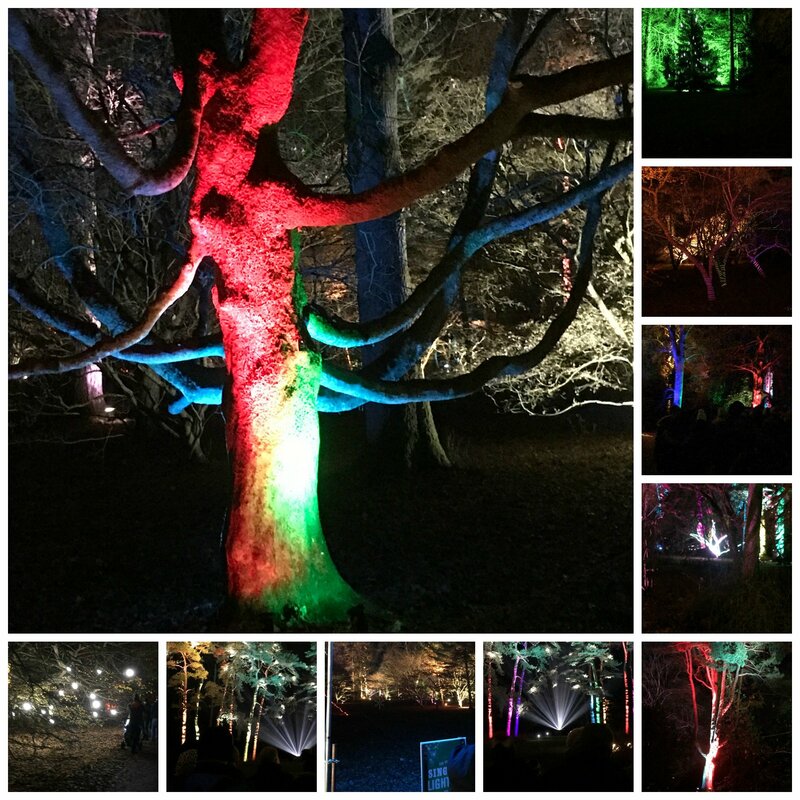 There is something to do at Westonbirt all year round but we particularly love visiting Enchanted Christmas, the illuminated trail which opens to the public at the beginning of December each year. It takes roughly 45 minutes to walk the length of the trail during which you’ll find an exciting array of beautiful light displays scattered amongst the trees which makes the whole place truly magical. 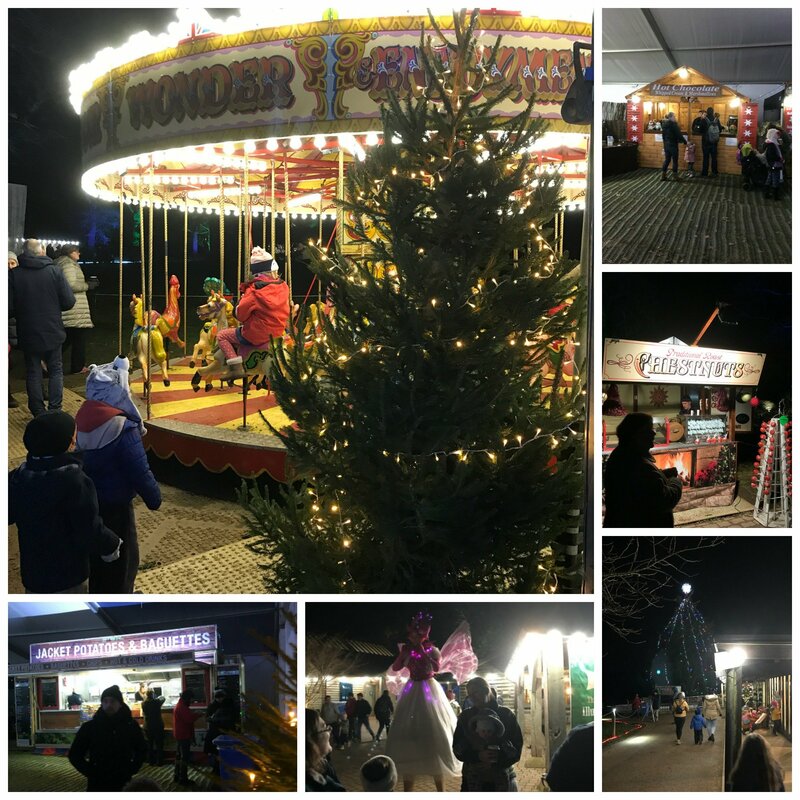 Before and after the trail you can visit the Christmas Village, where you’ll have the chance to meet Father and Mother Christmas, listen to local choirs perform festive classics, have a ride on our traditional carousel or enjoy a warming meal in the restaurant or merry marquee. We arrived just after 5 pm which was our official entry time. It was already dark and the weather was crisp but, thankfully, dry. We whizzed through the turnstile and then it was up to the Christmas village. Once the kids had done their traditional perusal of the gift shop we set off to experience the brisk wintry air and the magic of the lights. Video and sound are used to great effect and gives an almost other-world feel to the place which, were it not for the displays, would be in total darkness. The event is so popular that entrance is by advance ticket only and I book ours in September. 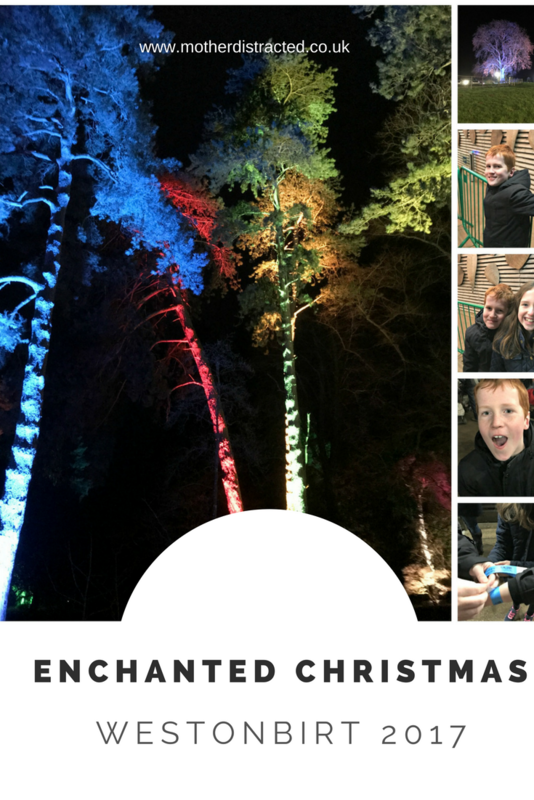 This year’s Enchanted Christmas trails are almost over and completely sold out with the exception of Thursday 14th December if you’re quick! Children under 5 go free and there are group discounts for advance bookings of 10 or more tickets. Friends of Westonbirt get a membership discount on Fridays. No dogs are allowed. This year, Adult tickets are £14, student tickets are £12 and children’s tickets are £7. The event runs from 5 pm to 9 pm so once you are in you can stay until the end if you want to. *Book well in advance. Sign up to the Arboretum’s mailing list for notification about this event and the great music concerts Westonbirt plays host to every summer. *Remember to print out your tickets if you can. Printed tickets are preferred – it’s certainly quicker – but if need be you can show your tickets on your mobile phone. *Make a note of the entry time for the trail you have booked – entry is staggered on an hourly basis. We always go for the first entry time of 5 pm to avoid the later crowds. *Allow plenty of time to arrive and park. Popular events at Westonbirt see high traffic levels which can create cues both in and out of the Arboretum. *Depending on the weather, take wellies or walking boots. *Wrap up warm – blankets for little ones in prams and pushchairs; hats and gloves for everyone. *Dogs are not allowed on the Enchanted Trail. *Our two loved the LED lightsabers in the gift shop but savvier (and frugal!) parents wrap their kids in battery operated fairy lights. Torches are also a good idea because it can be quite dark in places and easy to lose each other if you don’t stick close together. *We ate at nearby Hunters Hall in Kingscote but we have eaten in the village ‘tent’ before. There isn’t much choice and we found the burgers last year to be dry and uninspiring with the eating area to be crowded and consisting of rather rickety plastic picnic tables which needed a good clean by the time we got there. Prices were rather high too, for both the food and retro sweets. Prices in the main gift shop, however, are reasonable and there are a number of snack stalls selling things like hot chocolate and mulled cider on the way around the trail. *There are plenty of toilets, although to avoid queues head for the toilets next to the gift shop rather than the ones just past the entrance turnstiles. *The trail is just over a mile long and on hard paths. It is accessible for wheelchairs and pushchairs, but the path can get muddy. The main event area is also wheelchair and pushchair friendly. We were lucky to get to our Enchanted Christmas trail this year as the next day was “Snow Bomb Sunday” and that night’s trail was cancelled. I understand that tickets were automatically refunded but, as with any outdoor event, be aware that nothing is ever guaranteed and have a contigency plan. We’d highly recommend visiting Westonbirt Arboretum at any time of year as it’s great for families and the trees are beautiful. Christmas is a particularly magical time though with all the nearby villages on the drive there decked in twinkly lights and, on this occasion, the wide open fields covered in frost (and snow on the Sunday). For more information visit Westonbirt’s website at https://www.forestry.gov.uk/westonbirt. You can also telephone the Box Office on 03000 680 400 (Mon – Fri 9 am to 5 pm) or email them at boxoffice@forestry.gsi.gov.uk. 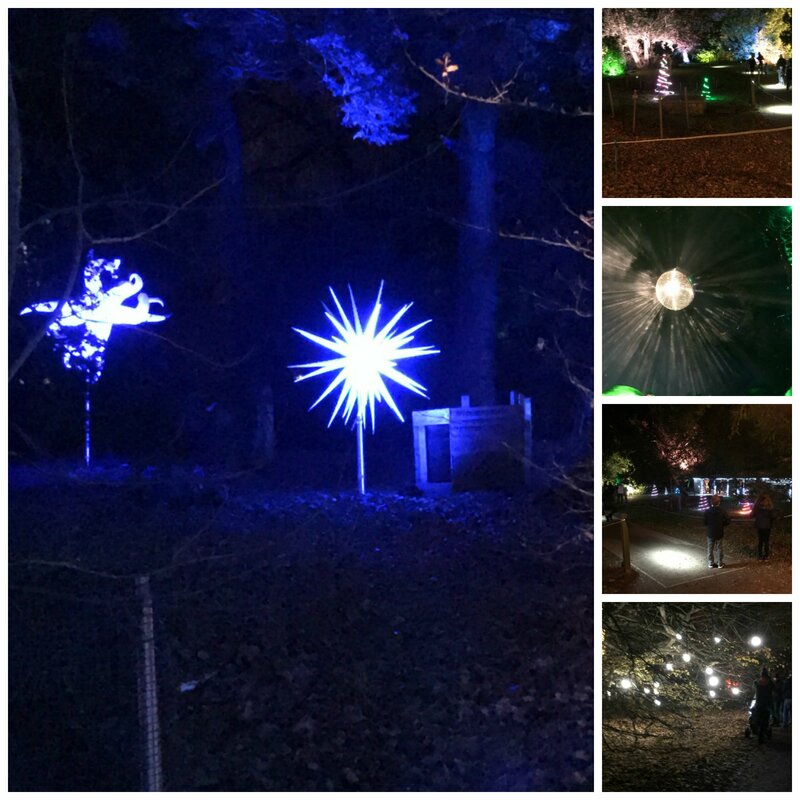 Have you ever visited the Westonbirt Arboretum Enchanted Christmas Trail? "Helpful Christmas Stocking Filler Tips For Kids And Pets"
"How To Help A Homeless Young Person This Winter"
This looks like such a lovely, festive day out! Merry Christmas!